© susanna cesareo. All rights reserved. I have entered this photo in the travel category as I find it to be quite characteristic and I think the approximate location can easily be guessed. 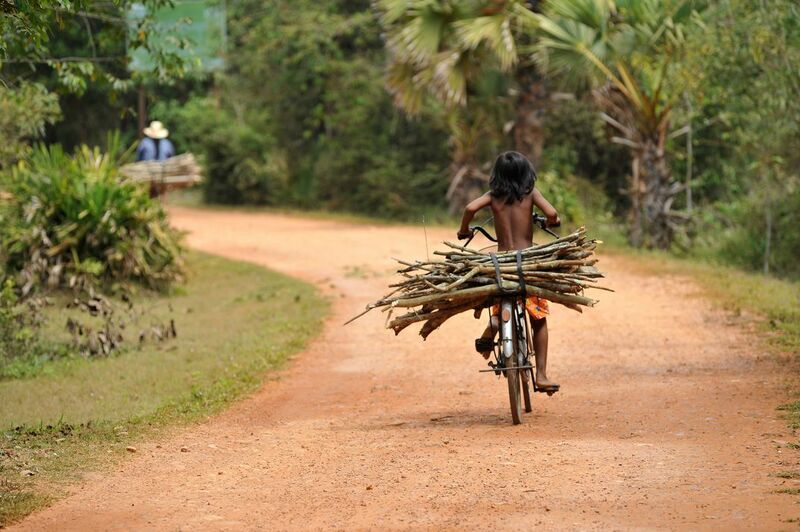 The vegetation, color and type of road, hat and hair-do of the farthest person and skin color of the kid behind, carrying twigs and wood, obviously a primary resource for daily activities, are indicative of a south Asian country. This photo was taken in the countryside not far from Siem Reap, in Cambodia. Date Uploaded: Nov. 27, 2014, 12:33 p.m.